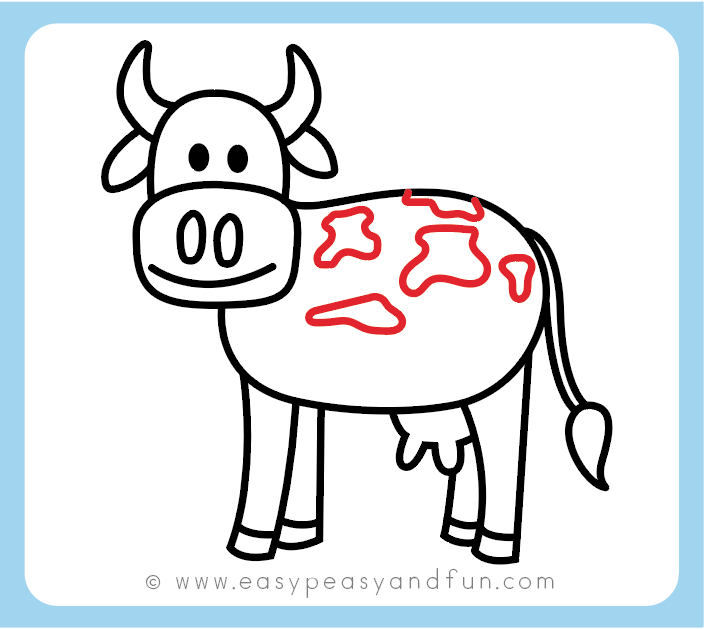 Our drawing lessons continue with this simple how to draw a cow step by step tutorial. 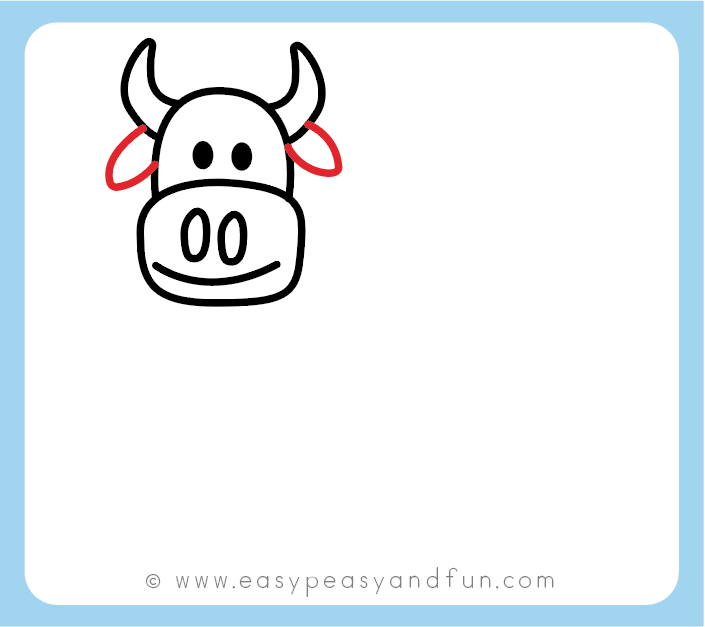 With just a few pencil strokes you will be finishing up your cartoon style cow drawing in no time. 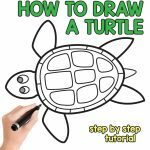 See all of our drawing tutorials – we have lots of animals and other easy to follow drawing lessons to share with you. 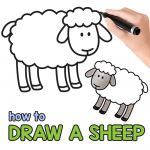 Working on drawing farm animals? 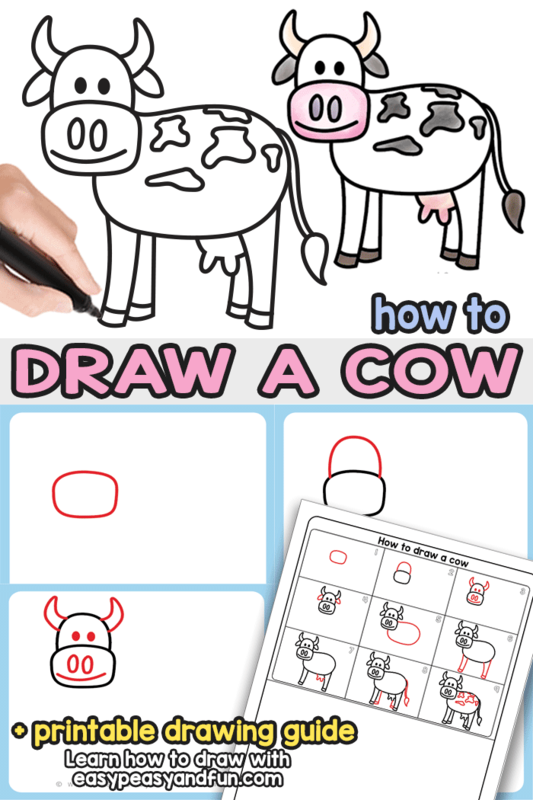 We’ve got you covered with this cow drawing tutorials as well as many others. 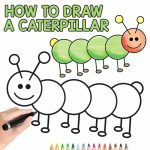 These drawing instructions are really easy so are suitable both for kids (you can use this tutorial both at home or in the classroom to draw with your students) and beginners. 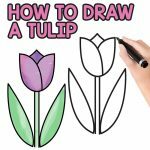 Start by drawing an oval shape or a rectangle with rounded corners. 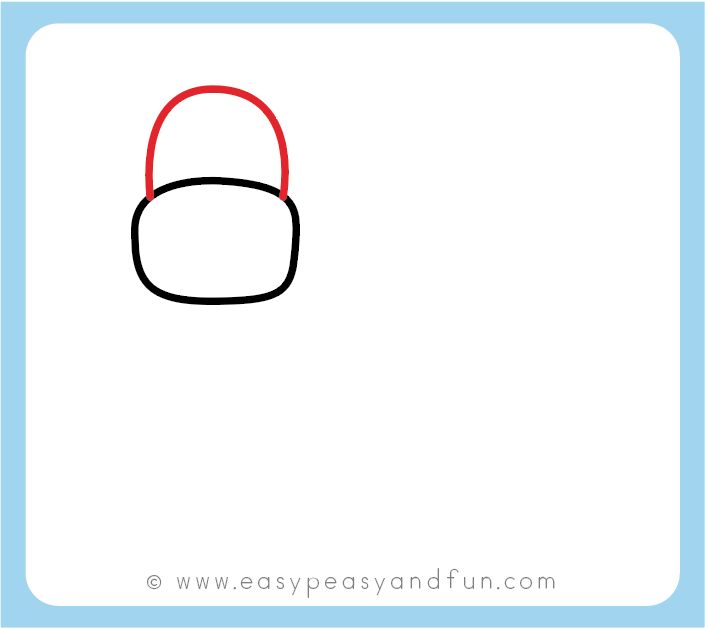 Draw the head, an arch shape above your oval or rectangle. Draw the eyes, nostrils and a smiley mouth if you want. 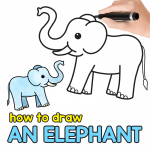 Also draw a pair of horns. 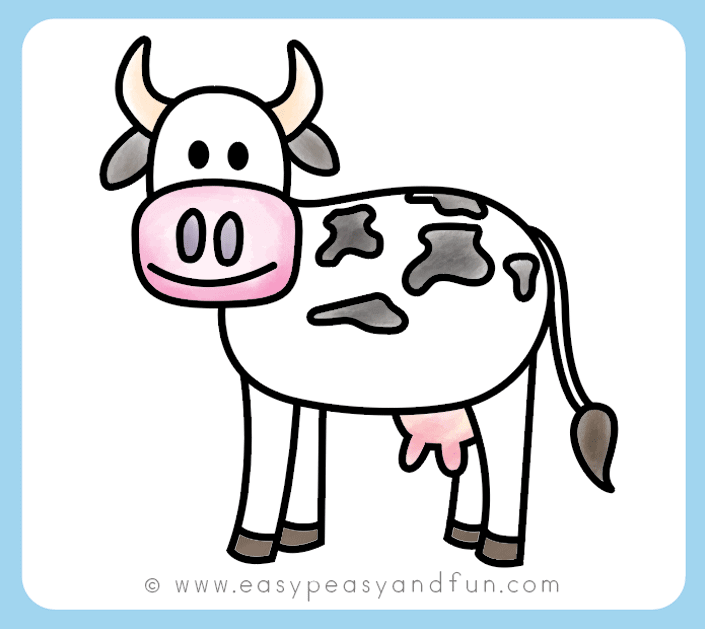 Mooo! 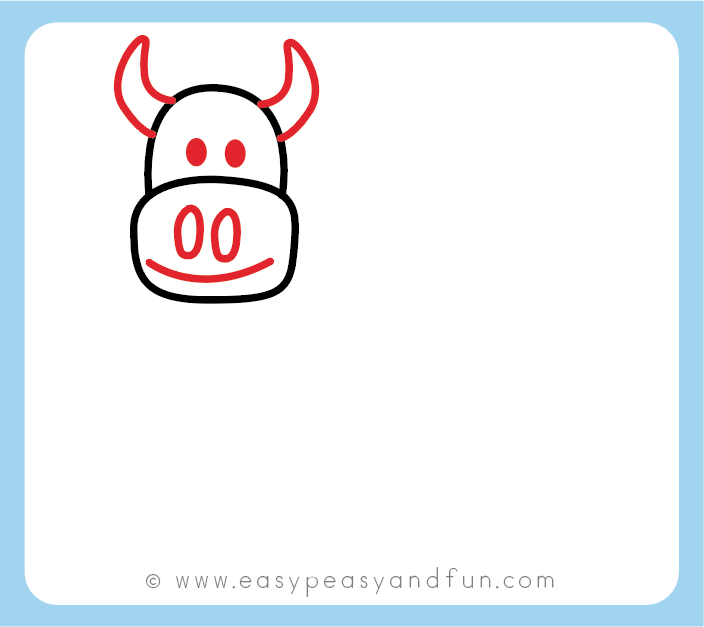 Draw a pair of ears under the horns. 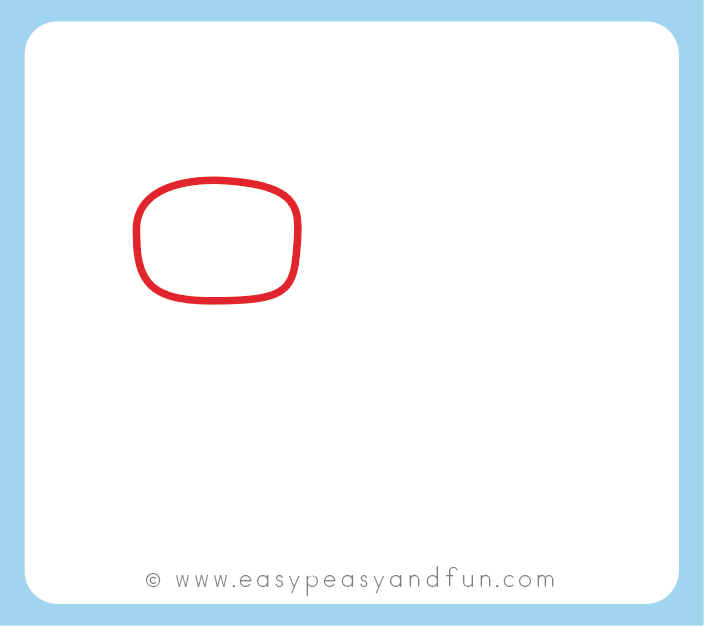 Next comes the body, again you can make it as an oval shape or more of a rounded rectangle. 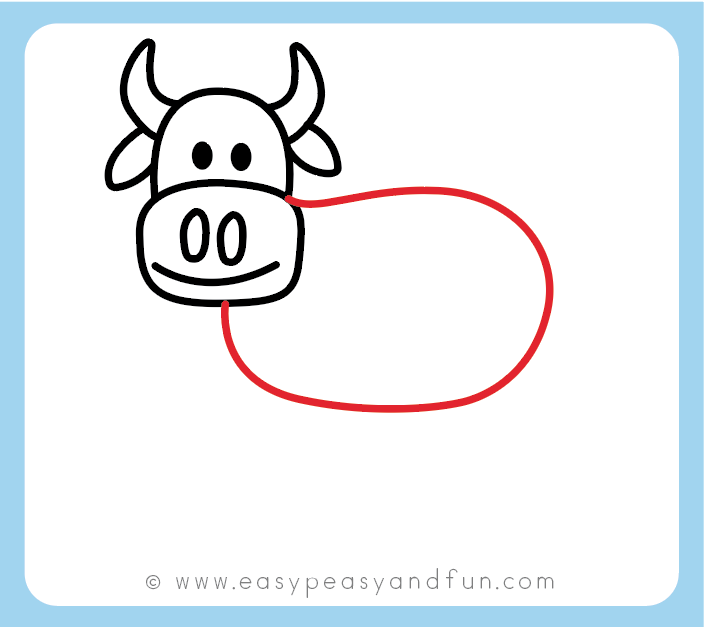 Draw the udder next to the hind leg. 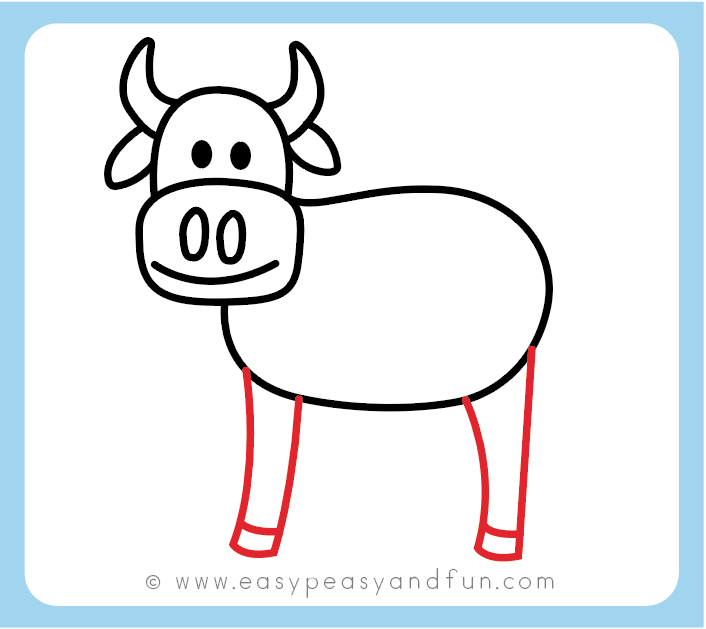 You have almost completed your cow drawing – draw two more legs and a tail. Now all that’s left to do is to make a few spots on the fur. 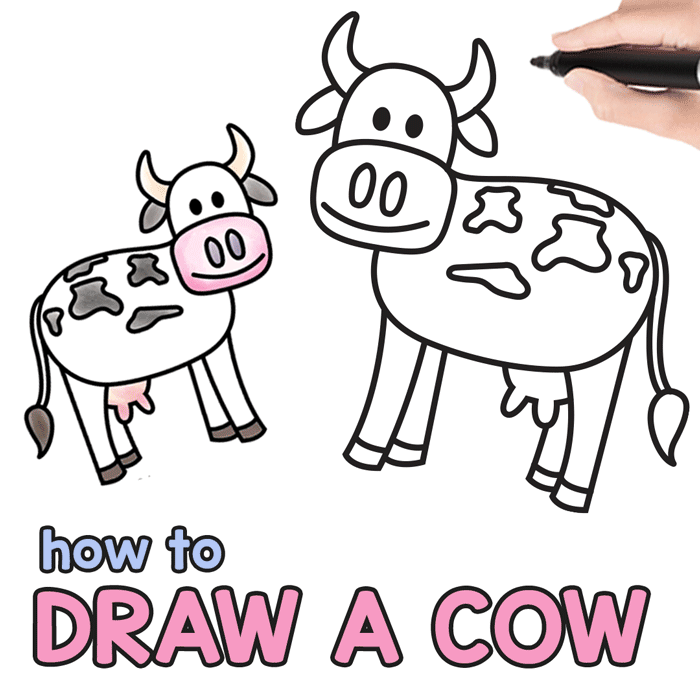 Congratulations you have learned how to draw a cow.